We bloggers often direct our readers to the work of others. In fact, that is the whole point of blogging—to share with each other and create online conversations. I love it when another blogger gets me curious enough about someone else’s website that I want to go there myself and check it out. Often I’m amazed at what I find. And I mean that in a good way. Today, I want to shine the spotlight on some other sites where I have been fortunate to have my scribblings published. The National Association of Federal Credit Unions (NAFCU) has a magazine called The Federal Credit Union (TFCU) that I’m very fond of since at one time I had a hand in it’s publication. This week, NAFCU unveiled a digital version of TFCU and a fresh new design. Kudos to NAFCU’s Karen Tyson, Rick Taylor and Ioana Dietsch for pulling this off, along with Marcella Drula-Johnston and Andi Harris at Spectrum Creative. It looks great! I’m pleased to say that my feature story on the future of credit unions is in this issue. If you’re curious about what’s in store for mobile banking over the next 10 years or so, you’ll want to give it a read. Did you know that smart phones will soon eclipse regular mobile phones? That’s how quickly the mobile world is changing. Remote check deposit, which has just been introduced at many financial institutions, will soon be ubiquitous as well. If you want to learn more, read on. 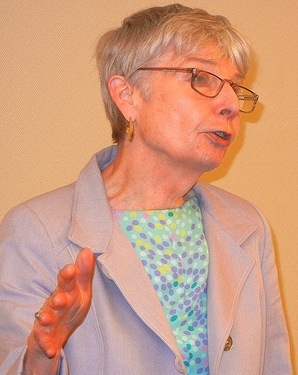 Eleanor Clift at last week’s IPRA meeting. I’ve always been a fan of Eleanor Clift of Newsweek, and so I didn’t want to miss last week’s Independent Public Relations Alliance meeting where she was our guest speaker. My article on her remarks was published yesterday in the Capitol Communicator. Thanks to Phil Rabin, CC’s managing editor, for letting me write this up. And thanks to IPRA’s Vicki Robb for arranging for Clift’s guest appearance at our luncheon. Clift was optimistic that Tina Brown, Newsweek’s new editor, will be able to turn around this iconic publication. I hope she is right. Finally, I want to thank Jeff Ghannam, a past president of PRSA-NCC, for putting on a great event last month for senior communicators at Carmine’s restaurant. 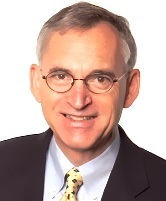 My post on this inaugural gathering went up on the PRSA-NCC blog over the weekend. The biggest thing I liked about the “20+ LeaderPack” is that it allowed us to engage in some genuine relationship building. So often we don’t have time to build real relationships, and I hope these quarterly get-togethers of PR people with 20-plus years of experience will do just that. In addition, it was great to hear from PR professional turned leadership coach and author Kristi Hedges and learn about the career changes she’s made. If you are interested in Kristi’s recently published book, it’s called “The Power of Presence.” Those familiar with the concept of emotional intelligence (EQ) will find themselves agreeing with her premise that technical knowledge, work ethic and presentation skills don’t put people on the fast track as readily as a compelling presence. Good luck with the new book, Kristi! This entry was posted in Careers, Leadership and tagged Capitol Communicator, Eleanor Clift, IPRA, Kristi Hedges, mobile banking, Newsweek, PRSA-NCC, The Federal Credit Union. Bookmark the permalink.